How Much is Elvis Autograph Worth? 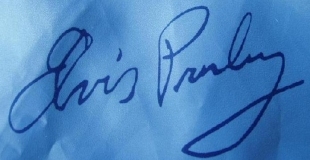 What are Elvis Autographs Worth? Elvis Autograph Authenticating Service. 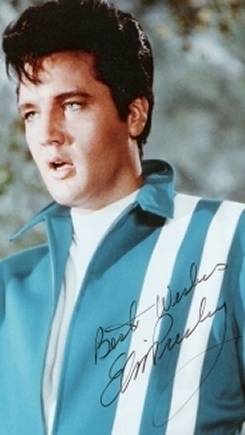 Check if your Elvis Autograph is REAL What is an Elvis autograph worth? 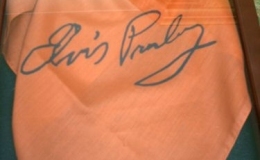 Elvis autographs are probably the most common counterfeit item on sale at eBay.com Elvis signature is very difficult to authenticate because there are so many variations in the way Elvis signed his name in the 1950’s, 1960’s and 1970’s. Below are a few examples of authentic Elvis signatures. This report offers Elvis fans an insight on what to look for when thinking of buying any collectable or memorabilia item. Always beware of autographs signed with gold or silver paint “felt” pens as these pens did not go on sale until after Elvis’ death. Whenever considering buying an Elvis autograph, please insist on the history and background of how the owner came by the autograph. Always ask if Elvis signed the item in person. It is a well know fact that during the 1970’s many fans gave the members of the Memphis Mafia items to be signed at Elvis concerts or at the Graceland Gates. These minders have since admitted that they faked hundreds of Elvis signature and signed most of the items themselves. The history holds true for fans that sent requests for autographs by mail to Graceland. Elvis’ secretaries openly addmitted that she forged Elvis signature on many occasions. Col Parker cautioned Elvis to stop adding ” love ya” to his autograph fearing female fans may file paternal claims. 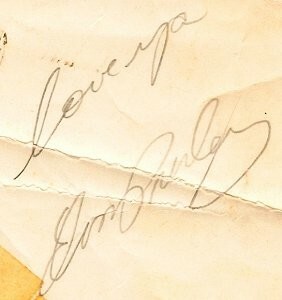 However, these are the most sought after Elvis autographs for abvious reasons. 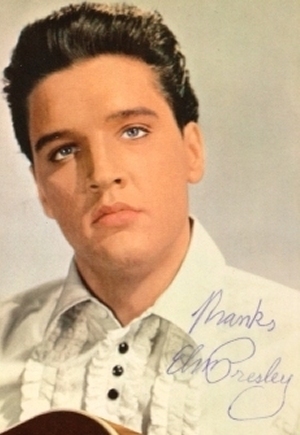 The most valuable Elvis autographs are on any album cover that includes the record and all inserts sold at the time. What are Elvis Collectibles Worth?